Started by Night Angel 30-10-17 . 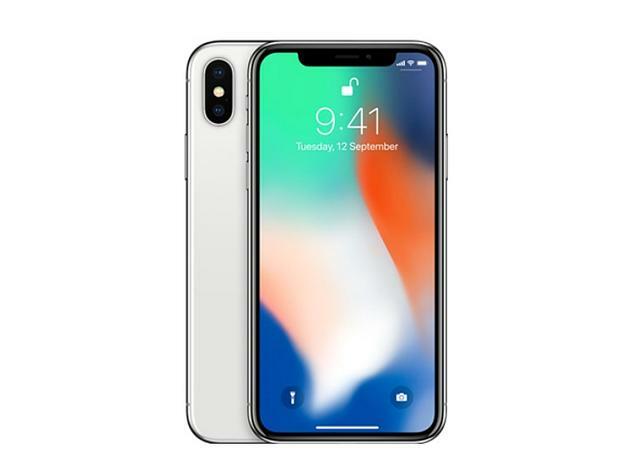 Apple announced their new phone as the 10th anniversary product, iPhone X (pronounced as ten), in September, which is just available for preorder. The phone won't be coming until late November, but this phone is to set a new standard in the market. 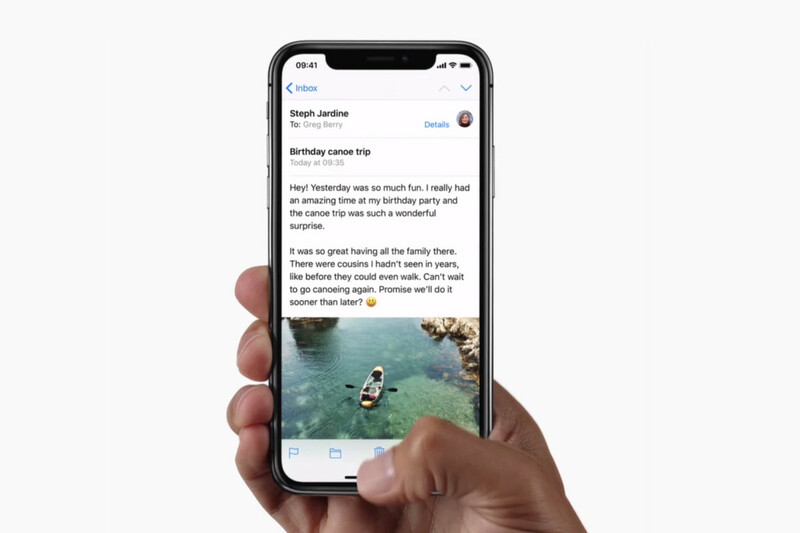 iPhone X is an all-screen smartphone, having the new OLED monitor all over the front except a little notch that houses a dozen of cool hardware. The screen also has a higher resolution than iPhone 8 Plus, being able to watch a 4K video on the screen with HDR and Dolby supported. Without the home button, everything is now done with touch gestures and Face ID. The security now moves from your fingerprint to your face, which is considered to be a million times more secure than your fingerprint. You may wonder if the phone can be unlocked by just putting it in front of you, not really. 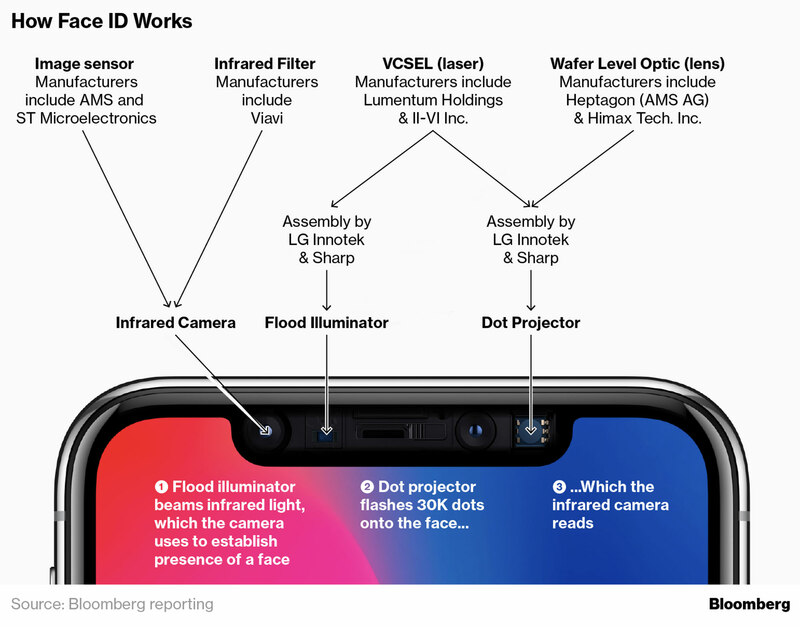 Face ID uses dot projection, which is like a 3D scanner of your face and muscles, and so it can only be unlocking the phone with you watching it directly. There are more features that you can see on Apple's page, but as some magazines put it, it is setting a new standard again which Android probably needs another 3 years to catch up. The facial recognition looks like old things, but iPhone X is not just using the image analysis like other phones do. It scans an object to proceed, and that is very new and advance in the industry. The no-button phone world may also lead to another round of GUI exercise that developers have to design around this new world. Without the home button and bottom part of the phone, everywhere is now usable, and functional now. I am sure many designers will find this interesting and create some innovative GUI designs. What do you think about future phones? If iPhone X is not going into the vision of yours, what do you think is missing? When you can just look at it to unlock your phone, pay with your phone or explore the world with your phone, what is the next step you are looking forward to? I saw a post in Apple forum, about 128 - 64 GB. One guy said "I use iPhone for everything, my work , office... even I don't have laptop, I need at least 128 gb"
That's an old comment, and I think that guy may has a device to backup iPhone, the point is: price or storage capacity is justified depending the demand and use for apps and works. Extra: the sound in stereo when you watch-listen in landscape (horizontal) is very good, so nice and good sound! iphone 8. I've been hesitant to comment as I don't plan to get one, or have anything optimistic to say about it. I like the wireless charging, the higher-resolution screen. 4K video is great assuming negligible effect on battery use. That's all I can recall for now. Some people have large hands and would prefer a larger device for a better grip, for maps and watching videos while commuting. Currently wireless headphones are still inferior to 3.5 mm headphones in a few ways, but I could put up with it. As for FaceID, no phone needs to do this, even with the best assurances (which mean nothing) of secure device storage and limiting access. I hope they're not using it for authorisation (rather than an optional means of identification). Affect our health? You mean something like the impact of radio waves, or poor health habits while constantly using electronic devices (especially mobile)? Yeah, unless living in the or some remote place. You know I've been searching info about iPhone 8 and iPhone X. I have nothing against Apple , against users iOS . I was so curious . my rare veredict: it is good, very nice hardware, strange and divided opinions about iOS, more reliable than at least I've noticed it. And the price is some "overpriced". I don't mean it is expensive bla bla.. it is overpriced in my opiniOnion. The photos are terrible. I've compared photos and with iPhone 8+ and they look like a Van Gogh painting. Yeah, lack of removable storage is a drawback, as was not having a file manager app by default until recently. Along what Night Angel suggested, I sync files to a server and keep only files I'm using to save space on the device. Did that for my iPad Pro too, with most of the documents (for work usually) on the cloud. Then I can choose the less expensive 32GB version, haha..
example: my androide with only one SD Card is enough maybe 64 GB ( to me for me) is good and I don't remove it, I don't change it. maybe, some day dunno . The device comes with a reduced built in storage, only with usd you can upgrade it , the iPhone demands another model with more price for more storage. that's it. I feel more comfortable the way to manage files with androide, via USB and bluetooth, the androide is "friendly " between macmini and pc. I'm not high end, non critical work user to iPhone, I like it, but it is more than I need in apps and performance , maybe that's why I'm intrigued and some afraid about iPod, I love my iPod , I'm enthusiast and "fan" of it like some others are with iPhone. I've used OneNote by Microsoft - related to onLine internet cloud and communications, it wors so good , it's example . yes. and i've used oneDrive - sharing files is good and I think it is safe too. Funny! You think you are good and safe with Microsoft, but not with Google? the blog system or Google+ is hard complex bla bla. The big full screen is a huge attraction, it turns out. When you view websites and movies, this is a big plus, as if you are really absorbed into the whole experience. The sound is also very good, because now it makes use of a front speaker so that you have even sound distribution when viewing in landscape mode. The changed home screen activation wasn't too hard to get adjusted to, but you need to know the new shortcuts after the removal of home button. For example, you need to take screenshot with the volume button, and you need to do the old-school way to force-quit apps without swiping up (because that's the global home screen gesture; now you have to hold the app in the multi-tasking screen and press the quit icon). The battery is much long lasting than before, but perhaps because I am comparing it to my previous iPhone 6S. Plus iPhone has longer battery life, and this X has even more (according to the spec). In the past, if I didn't charge it during the day, the battery dropped to 20-40% at night. Now, it will just be 60-70%. 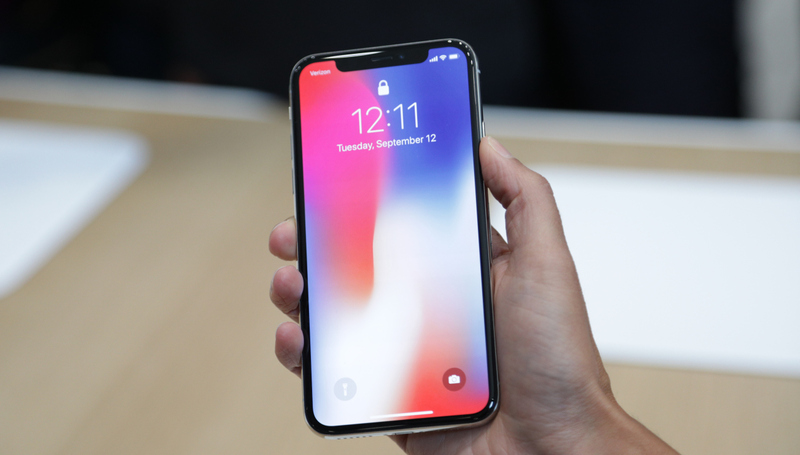 To activate iPhone X, you can also just tap on the screen when it is not on. However, that triggers a lot of unwanted wake-up, and makes me accidentally tap on something. I hope Apple can make it not default, or add a double-tap instead of single. I am still waiting for more apps to be updated to provide full screen experience, but so far everything is fine. The camera is so much better, I have to say! Take a look at this lunch photo I took yesterday! in the last year, I've noticed iOS updates is similar to crash and bug your device. and based in history... and maybe you know how programming is complex, fix by fix is like a vortex and endless problem, bug by bug and fix and patch and it getds non stop ! a damaged iOS fixed and patched is a No End versions and updates. do you Headphones Earpods Airpod or something for audio in your iPhone ? Nope, I like my Marshall earbuds, hehe...wired. You must log in to comment on threads and posts.